Cable Laying - 220 kV /66 kV /33 kV /11kV. With our best approaches, we provide high quality range of LT Cable Laying. Our services are provided using superior quality components and best techniques. We understand the market requirements and provide highly advanced services for several electrical applications. - Laying high tension and low tension cables through both underground and above ground facilities. - Installation of lighting and power supply system including power generator. - Installation of Grounding and Lightening protection system. - Erection of panel boards and other electrical equipment. We have emerged as a prominent organization engaged in offering LT Cable Laying All the offered services are rendered keeping in mind the variegated requirements of customers. Also, we offer customization facility of the offered spectrum of services. We lay Drum lengths of cable through Hume pipes, trenches or with excavation. 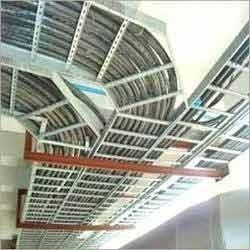 Moreover, the HT Cable Laying are also laid on cable trays. Our personnel can also arrange for permissions from appropriate authorities such as PMC/PCMC/MIDC and PCNTDC. We lay drum lengths of cable through hume pipes, trenches or with excavation. Moreover, the oh cables are also laid on cable trays. Our personnel can also arrange for permissions from appropriate authorities such as pmc/pcmc/midc and pcntdc. 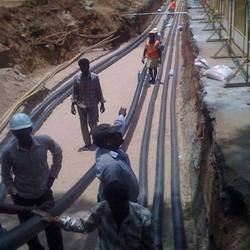 We are one of the leading service providers of Cable Laying . These services are rendered by highly skilled and experienced designers and technicians so as to provide the desired results to the customers. · We are providing electrical & Instrumentation cable laying services for HT, LT, LAN & DATA cables all over india. · We are also providing Optical Fibre Cable laying. We provide the services of Cable Laying Service in numerous places. These cable laying services are executed by a huge team of skilled professionals.